We're having dinner at Jane's house tonight. A small house is called a cottage. A house with only one floor is called a bungalow: My grandparents live in a bungalow near the sea. A tall building where lots of people live is called a block of flats or an apartment block: They live on the third floor of an apartment block. We met at Alison’s house. Why don’t you all come over to our house for coffee? He gets up at six and disturbs the whole house. The president will address both houses of Congress. The show has been playing to full houses. The house was half empty. The house lights went down and the music started. The show has been playing to packed houses since it opened. A glass of house red, please. The two of them set up house in Brighton. His daughter keeps house for him. ▪ live in a house They live in a really big house in Hampstead. ▪ buy a house We bought this house when Liam was just a baby. ▪ rent a house While he was working in London, Ken rented a house in Fulham. ▪ sell a house We decided to sell the house and move back to Seattle. ▪ put your house on the market (=make it available for people to buy) They put the house on the market and began looking for an apartment. ▪ move into/out of a house We’re moving into our new house next week. ▪ build a house They’re building a house on land overlooking Galway Bay. ▪ put up a house (=build a house, especially when it seems very quick) I think they’ve ruined the village by putting up these new houses. ▪ renovate a house (=repair a house so that it is in good condition again) He makes money by renovating old houses and selling them on. ▪ decorate a house (=put paint or wallpaper on the inside walls of a house) If we’re going to decorate the house, let’s get professionals in. ▪ do up a house informal (=decorate it) We’ve been doing up the house bit by bit since we first moved in. ▪ a private house (=one owned by someone) It was a residential neighborhood of private houses. 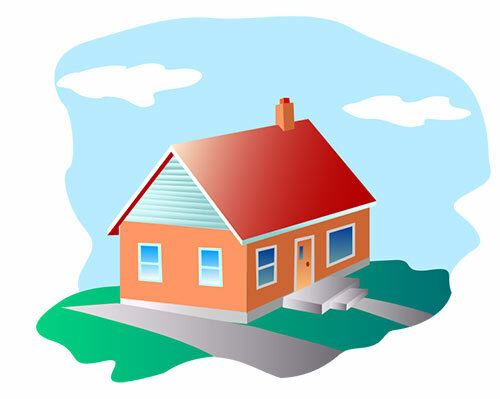 ▪ a rented house (=one owned by someone who rents it to people) She shares a rented house with three other students. ▪ a council house British English (=one owned by a local council that people can rent cheaply) The rent rise is a blow to council house tenants. ▪ a Georgian/Victorian/Edwardian etc house (=a house in Britain that was built during the reign of a particular king or queen ) They live in a lovely old Edwardian house with high ceilings. ▪ house prices House prices have tripled over the last ten years. ▪ a house owner All house owners must pay council tax. ▪ a house purchase A solicitor can help you with the legal aspects of a house purchase. ▪ house hunting (=the activity of looking at houses that you might buy) Have you had any success with your house hunting? ▪ house a building that someone lives in, especially one that is intended for one family, person, or couple to live in: Annie and Rick have just bought their first house. | The price of houses is going up all the time. ▪ bungalow a small house that is all on one level: Bungalows are suitable for many elderly people. ▪ country house a large house in the countryside, especially one that is of historical interest: The hotel was originally an Edwardian country house. ▪ development a group of new houses or other buildings that are all planned and built together on the same piece of land: The site is to be used for a new housing development. ▪ estate British English an area where a large group of houses have all been built together at the same time: She grew up on a council estate in Leeds. • He went into the house. • Let's have the party at my house. • What time do you leave the house in the morning (= to go to work)? • (BrE) We're moving house (= leaving our house and going to live in a different one). • We went on a tour of the house and grounds (= for example, at a country house, open to the public). • Be quiet or you'll wake the whole house! • Their offices are on the second floor of Chester House. • Legislation requires approval by both houses of parliament. • I urge the house to vote against the motion. • The spotlight faded and the house lights came up. see also acid house, art-house, open house, powerhouse There are many other compounds ending in house. You will find them at their place in the alphabet. more at clean house at clean v., not a dry eye in the house at dry n., eat sb out of house and home at eat, people (who live) in glass houses shouldn't throw stones at people n., safe as houses at safe adj. • We live in a two-bedroom house. • I finally tracked him down at his house in Denver. • I live in a group/shared house. • I work front of house. • In the morning, the doctor makes house calls. • It was easy to get lost in the rambling house. • It was so hot outside we stayed in the house. • It's stressful moving house. • Our challenge was to add onto the house in a respectful way. • Police are making house-to-house enquiries following the discovery of the body. • Police officers have been searching the house for clues. • She kept house for her elderly parents. • She kept house= cooked, cleaned, etc. for her elderly parents. • She shares a house with three other nurses. • She was a house model for Gucci. • She went from house to house collecting signatures for her campaign. • The bank offers attractive rates to first-time house buyers. • The children were playing house, giving dinner to their dolls. • The former dictator is under house arrest in his country mansion. • The great house stood on the edge of the town. • The house faces south, making the most of the sun. • The house loomed over him as he waited at the front door. • The house stood a short distance from the wood. • The palace is a treasure house of fine antiques. • The police provided a safe house for the informer. • Their house was repossessed when they couldn't keep up their mortgage payments. • They bought a dilapidated house when they got married, and are gradually doing it up. • They bought an old house and are gradually renovating it. • They built their own dream house overlooking the river. • They helped us with our house move. • They lived in a modest semi-detached house in the suburbs. • They played to a packed house. • They want to set up house together. • They've moved house and have invited us to their house-warming on Saturday. • We had to move out of our house. • We let out our house when we moved to America. • We're hoping to extend the house. • We're only planning on renting the house out for a few years. • You'll wake up the whole house with that noise. • Elections to the lower house of parliament are by proportional representation. • House prices in London are still falling. • The ‘Bundersrat’ is the upper house of the German parliament. • The publishing house made its name by encouraging first-time writers. • We went on a tour of the house and grounds. • What time do you leave the house in the morning? She lives in a little house in ( US on ) Cross Street. Try not to wake the whole house when you come in! House music first appeared in the late 1980s. The British Royal Family belong to the House of Windsor. The House began sitting at 3 p.m./rose at 2 a.m. The motion for tonight's debate is, "This house believes that capital punishment should be abolished." The opera played to a full/packed house. Pronounced /haʊs/ for the noun and adjective, and /haʊz/ for the verb. The form 'houses' is pronounced /haʊzɪz/. A house is a building in which people live, usually the people belonging to one family. ...her parents’ house in Warwickshire. You can refer to all the people who live together in a house as the house. House is used in the names of types of places where people go to eat and drink. ...an old Salzburg coffee house. House is used in the names of types of companies, especially ones which publish books, lend money, or design clothes. Eventually she was fired from her job at a publishing house. I was to go to the very top floor of Bush House in Aldwych. You can refer to the two main bodies of Britain’s parliament and the United States of America’s legislature as the House or a House. A house is a family which has been or will be important for many generations, especially the family of a king or queen. The house is the part of a theatre, cinema, or other place of entertainment where the audience sits. You can also refer to the audience at a particular performance as the house. They played in front of a packed house. A restaurant’s house wine is the cheapest wine it sells, which is not listed by name on the wine list. Tweed ordered a carafe of the house wine. To house someone means to provide a house or flat for them to live in. A building or container that houses something is the place where it is located or from where it operates. If you say that a building houses a number of people, you mean that is the place where they live or where they are staying. It’s really an amazing dance. It just always brings the house down. If you are given something in a restaurant or bar on the house, you do not have to pay for it. The owner knew about the engagement and brought them glasses of champagne on the house. If someone gets their house in order, puts their house in order, or sets their house in order, they arrange their affairs and solve their problems. • Would you like to come to my house for dinner? • I spent the weekend just puttering around the house. • He made enough noise to wake the whole house. • The bill has been approved by both houses of Congress. • They hope to win enough seats in the election to regain control of the House. • We had dinner at the local fish house. ✦A house wine is a basic wine that is always available in a restaurant. A house salad and a house (salad) dressing are the regular salad and dressing in a U.S. restaurant. • Would you like the house salad or a spinach salad? • The house dressing is a creamy vinaigrette. • They had a full/packed house on opening night. ✦To bring down the house or to bring the house down is to get great approval and applause or laughter from an audience. • His performance brought down the house night after night. • He cleans house on Tuesdays. • After the corruption was revealed, the police chief decided it was time to clean house. 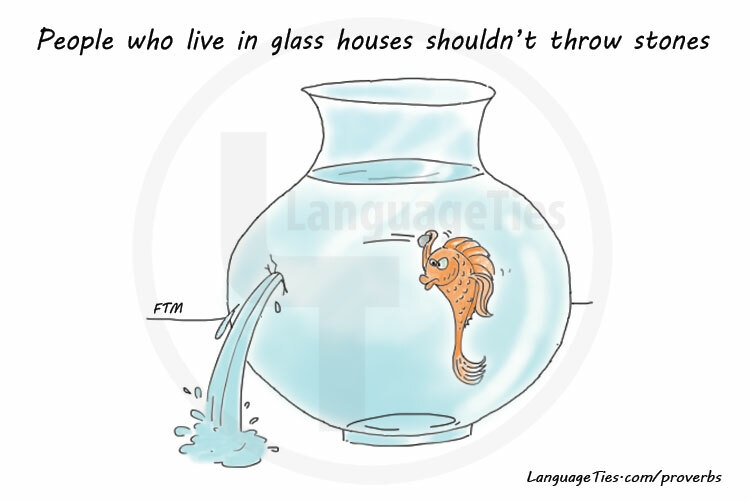 ✦If you go (from) house to house, you go to each house or apartment in an area and do or ask for something. • Volunteers went from house to house asking for donations. ✦To put/get/set (etc.) your house in order is to improve or correct the way you do things. • We should get our (own) house in order before we criticize others for their mistakes. • When I started living on my own I had no idea how to cook or keep house. • You need someone to keep house for you. • The drinks are on the house. ✦When children play house they pretend that they are adults and that they are doing the things that adults do in a house, such as cooking and serving food. • She always loved playing house with her little sister. • They moved to California and set up house in a suburb of Los Angeles.